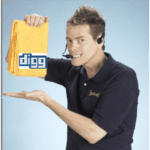 Over the last few years I have been few active on a number of social bookmarking sites including Digg and StumbleUpon. I have picked up a number of tools along the way that have helped me with staying active on a number of communities with ease. I thought it would be a good idea to share those tools with you, so it can help you with your social bookmarking. I would appreciate it you guys could add to the list and let me know if other tools you use to help you with social bookmarking. For anyone who is active on Digg, Sub Digger is a real time saver. Sub Digger allows you to easily browse through your friends Digg submissions using their custom submission bar. All you have to do is enter in your Digg username into the field and Sub Digger will pull in all of your friends submissions, so you can easily and quickly view your friends content. They provide a few different views including a StumbleUpon-like style view where you can click the “Next” button to browse all of your friends Digg submissions. The other way is by viewing all of the submissions on one page, so you can quickly browse titles that appeal to you. OnlyWire is a social bookmarking syndication tool that sends your post out to over 20 of the most popular social bookmarking tools with the click of a button. There are multiple subscription options including one for free! Social Blade provides some interesting data from Digg, including Front Page Analytics (Digg stories that hit the front page) and a list of the top Digg users. If you are trying to get your content to pop on Digg, you should have a look at this analytics data, so you have some insights into which type of posts hit the front page. This URL shortening service is specific to StumbleUpon, that allows you to shorten and track all of your StumbleUpon submissions. This service is great if you want to see how effective all of your links are in the Stumble community. Social Bookmarking Demon is similar to OnlyWire, however it has many more sites you can submit to and more awesome advanced features. For anyone who is looking generate backlinks and traffic through social bookmark sites, this is a must have tool. Social Marker makes it easy to add social bookmarking buttons to your website or blog. But going through all of those social bookmarking sites is very time-consuming and downloading all toolbars is madness. 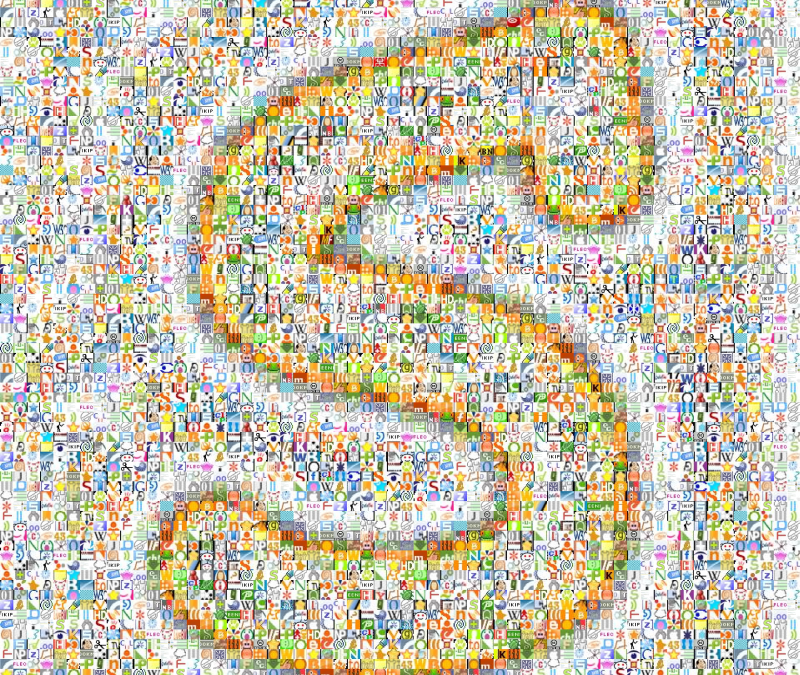 That’s where SocialMarker.com comes in, the free service designed to reduce the time and effort needed to socially bookmark a website. This is one of the best tools for anyone who is addicted to Digg and wants to be mutuals with others who Digg each others content. 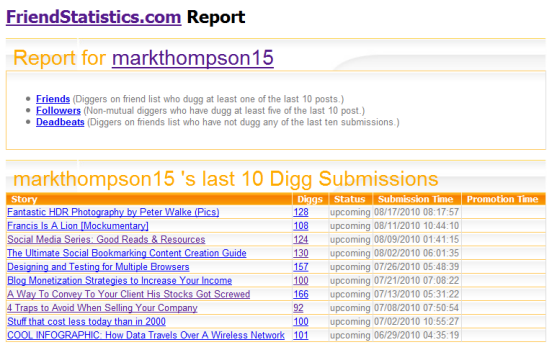 Friend Statistics will analyze your Digg submissions and follows to see which of your friends are Digging your content. This is important for Diggers who want to find loyal users who will Digg each others content and help get it to the front page.